and all the rest of our inherited aesthetic claptrap. It is not a question of Satie's relevance. He's indispensable. Alfred Eric Leslie Satie was born on May 17th 1866 at Honfleur (Calvados), of a Norman father and a Scottish mother. He began his musical studies as an organist, first with Guilmant and then at the Paris Conservatory with Lavignac. Encouraged by his harmony professor he began studying pianoforte and composition, but in 1886, after eight fruitless years and intolerant of academic rules, he decided to leave the conservatory and enlisted in the 66th Infantry regiment at Arras. A year later he deliberately caught bronchitis and was declared unfit for military service. He promptly changed his name to Erik - in honour of his mother - and published Valse-Ballet, his first work. Returning to civilian life he became a regular at Le Chat Noir cabaret, an essential night-spot for humorists, painters, and symbolists of the era. In 1988 he composed three Gymnopédies, inspired by a poetry reading by his friend J. P. Contamine de Latour. The hypnotic allure of these compositions had its roots from in dances performed by youths during an ancient ritual celebration. The next year, seduced by the Romanian popular music and Indonesian Gamelan he had heard at the Great Exhibition in Paris, he started working on Gnossiennes. Home was a small room on the top floor of a building at Butte Montmatre: "high above my creditors". In 1891 he was engaged as second pianist at the L’Auburge du Clou, where he met Debussy who became his friend until 1916 when a misunderstanding led to a break-up that would never be reconciled. That same year he met Sar Jospehin Peladin, Grand Maestro of the Aesthetic Order of the Catholic Rosae Crucis of the Temple of the Grail. Satie became his follower and was made Master of the Chapel. His compatriot and friend, the humorist Alphonse Allais, then gave him the nickname Esotérik Satie. Among the several works he composed under the guidance of Sar Pedalan were Trois Préludes du "Fils des étoiles", le Sonneries de la Rose-Croix. Two years later he argued with his mentor and broke away amidst declarations of artistic independence. "If I have to follow someone, I think I can say it’s just going to be myself." Immediately thereafter, in 1893, he composed the Danses gothiques. In these first works Satie was already using a freehand style with no bar lines, arranged chromatically around complex chord structures, that foreshadowed Debussy’s harmonic and timbre experiments. In the score he would replace conventional directions such as "allegro", "piano con brio"... with his own invented terminology - "don’t make your fingers blush", "from the top of your back teeth", "do your best"... In 1895 he composed Vexations, an eight-measure motif to be played forty times consecutively for a total duration of about 18 hours. A year later he took up residence on the outskirts of Paris in a modest house with huge rooms - "I have many ideas to accommodate," - where he composed Pièces froides. He gave up all esoteric research and in 1900 began collaborating with the music-hall diva Paulette Darty. It was in this period that Satie immersed himself in café-concert and popular music, composing Je te veux and La Diva de l’Empire. In 1905, tired of being considered little more than an amateur, and at odds with the musical academia, he enrolled for three years at the Schola Cantorum, where he studied counterpoint with Albert Roussel. In 1910 his music attracted the attention of Diaghilev, Picasso, Picabia, Ravel, Stravinsky and finally Cocteau with whom he became co-founder of the Les Six group. Satie’s genius was reaching an apex and he presented a new challenge to classical musical form - musique d’ameublement, so-called "furniture music" which, he declared, was nothing more than a utilitarian industrial product, "Art," he said. "Is something else." Musique d’ameublement became a sensation because "it serves the same purpose as light, heat, and all forms of comfort." It is pure objective formalism in opposition to every sentimental attribute of musical language. Such provocation could also be seen in the ironic score "directions" of Descriptions automathiques and Sports et divertissements - examples of the finest musical elegance. 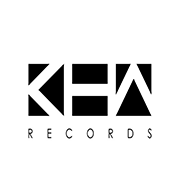 Fame, however, came with two important productions. In 1917 with Parade by Jean Cocteau and Picasso for the Russian Ballet. Satie’s music introduced the first European rag-time and, at Cocteau’s suggestion, included sounds of typewriters and factory sirens. The scandal was enormous: Debussy rejected outright Parade’s antagonism, while Apollinaire was so enthusiastic he coined the term surrealism. In Zurich, the Dadaists made Satie an honorary member of their movement. In 1924 the second ballet, Relache with text and staging by Picabia, and the celebrated intermission film by René Clair (Entr’acte), opened in Paris to an uproar. However the piece that best represents Satie’s spiritual legacy is Socrate (1919), a cantata for four sopranos and chamber orchestra, dominated by a formal aesthetic rigidity; a work that would have a profound influence on Stravinsky. 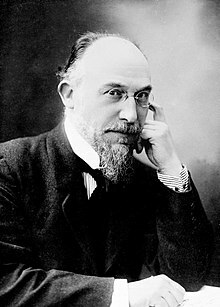 Satie died as he had lived, poor but illustrious, surrounded by admirers, at the Saint-Joseph hospital on July 17th 1925. When I was young, they'd say: "When you're fifty you'll see." I'm fifty. But I still don't see anything. I never read a newspaper that reflects my opinion: as I would find my opinion distorted. If I have to follow someone, I think I can say it's just going to be myself. The state of poverty is never properly savoured and that's a sign of the most serious disorders. If a man talks to you about contemporary "decay", look at his face. I don't understand why money has no smell, given that with money you have everything. Man is meant to dream as much as I am meant to have a wooden leg. There is no Satie school. Satisme would not know how to exist, it would find me hostile. There must be no slavery in art. A true musician must submit to his art;... he must rise above human misery;... he has to find courage within himself,.. and only from within himself.